Our Flex Deck LED Rope Light is the simple, versatile solution to all of your complex lighting needs. 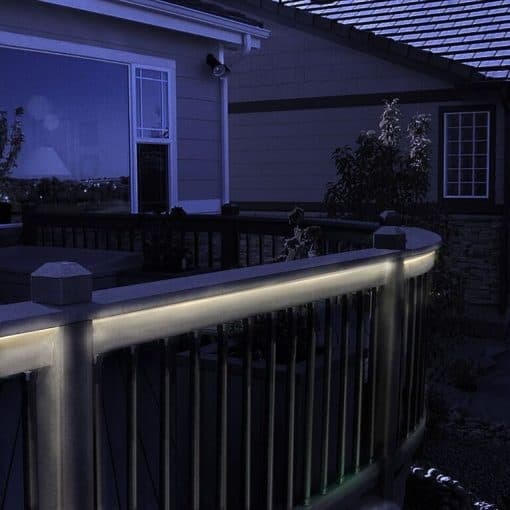 When we created this adaptable light, we envisioned it gleaming beneath deck rails, but this product can shine anywhere you need it. 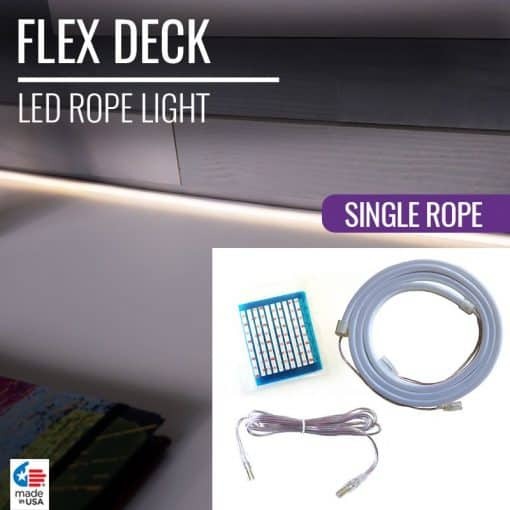 The Flex Deck LED Rope Light can even be cut to your desired length so it is a perfect fit for your more demanding projects. Use our transformer capacity guide below to find the correct transformer needed for your complete Flex Deck LED Rope Light setup. It’s important to ensure your transformer can handle the energy output of your LED Ropes to avoid overloading the power source. Introducing our most versatile lighting solution yet, the Flex Deck LED Rope Light. Unlike anything else on the market, this flexible rope of light creates a seamless and stunning shine you have to see to believe. With a completely hotspot-free shine, this shining strand of light produces a steady and even light output from all angles, edges, and sides. 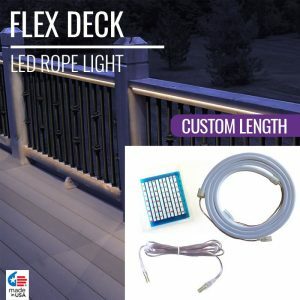 That way, no matter how you use Flex Deck, your light will shine all the same. 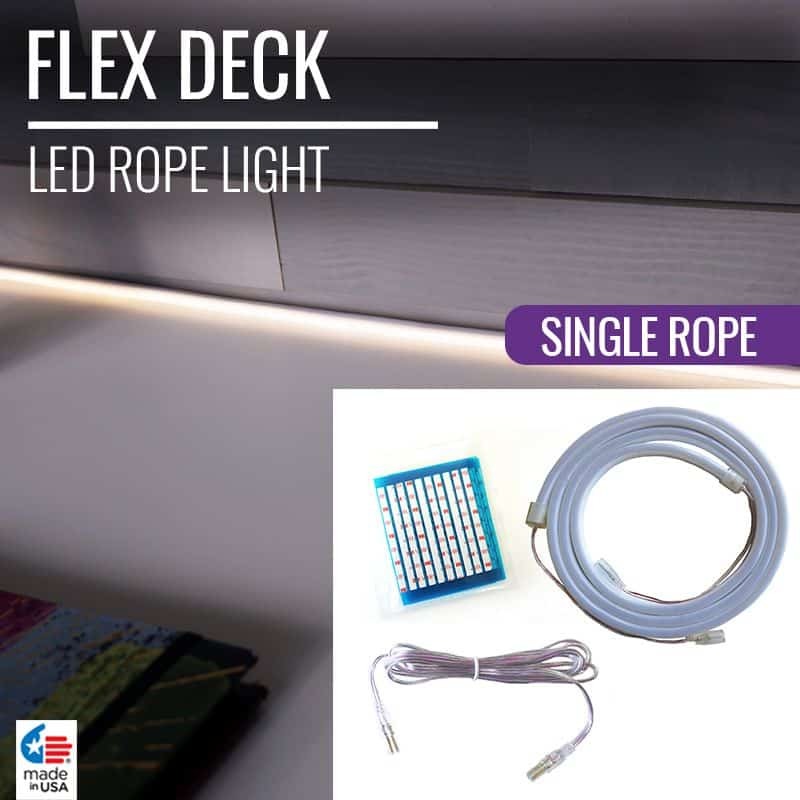 The Flex Deck LED Rope is ideal for illuminating under deck rails, cabinets, shelves, desks, and beyond. 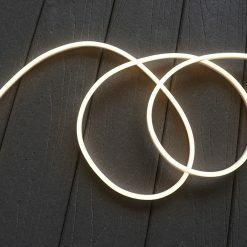 Choose from our classic 5’ LED Rope Light for simple and streamlined shine, or create a custom lighting experience with our custom cut lengths. Ranging from 1- 10 feet, you can find your ideal length and rope quantity to create a one-of-a-kind lighting experience in any space. 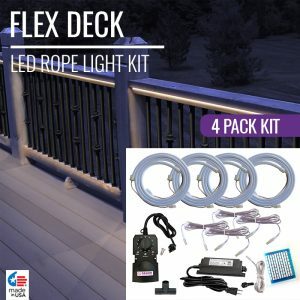 Flex Deck LED Rope Lights are sold in complete kits with four 5’ ropes, an EZ transformer, EZ PhotoCell timer, Plug-N-Play™ connectors, and pressure-sensitive adhesive strips. 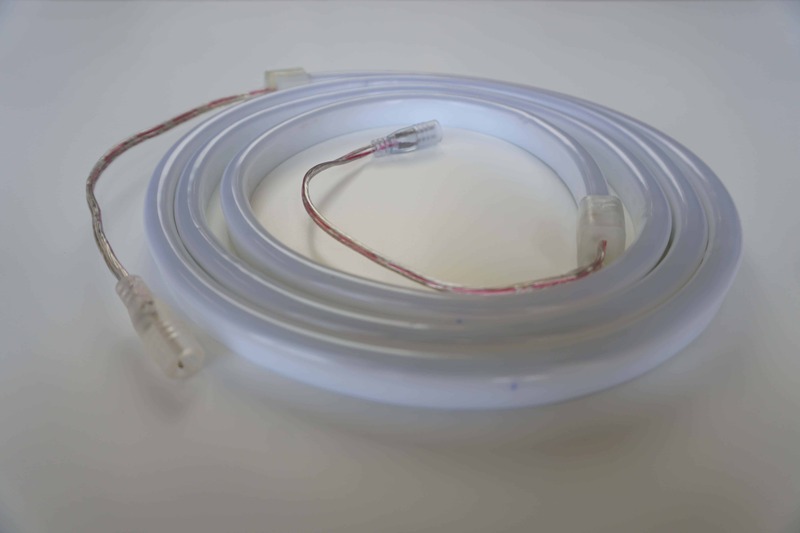 Also available in expandable 4 packs and custom rope lengths, you can find the illuminating solution that works best for you. Installation is as easy as 1-2-3 with Flex Deck. Simply plug your transformer into the Photocell timer and connect to a power source, connect your ropes using Plug-N-Play™ male-to-male plugs, and attach using the pressure-sensitive adhesive. Check out the installation tab for a more in-depth setup. Since Flex Deck LED Rope Lights emit such a seamless and vivid shine, a larger energy output is produced. With a high energy output, it is vital to ensure your transformers are up to the task of supporting such a product. Use our transformer capacity guide below to find the correct transformer needed for your complete Flex Deck LED Rope Light setup. Simply combine the total length (in feet) of all of the LED Ropes you’re planning to connect, and find the DEKOR® transformer that will bring it to life. The Flex Deck LED Rope has no breaks, pauses, or gaps in shine, creating a smooth and seamless light output. The Flex Deck LED Rope is completely moldable, allowing you to bend, curve, and twist the rope to find your ideal positioning without causing harm to the LED core. The Flex Deck LED Rope’s exterior was created using industry-strength silicone, withstanding severe weather and wear and tear. Although it may be large in shining power, this streamlined design is small in size. 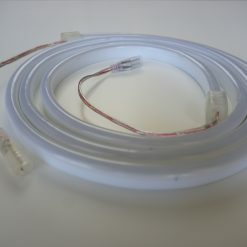 Measuring only 1/4” wide, this smooth strand of light is easily installed and concealed into any space. The Flex Deck LED Rope uses 3M®’s strongest pressure-sensitive adhesive yet, VHB, or Very High Bond tape. With enhanced adhesive locking and durability, VHB ensures your lights are there to stay. 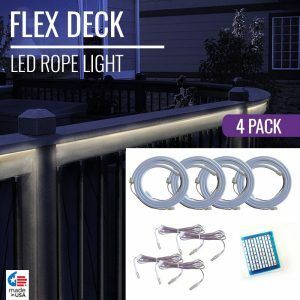 The Flex Deck LED Rope Lights installation requires no tools, expert background, or stressful setup. 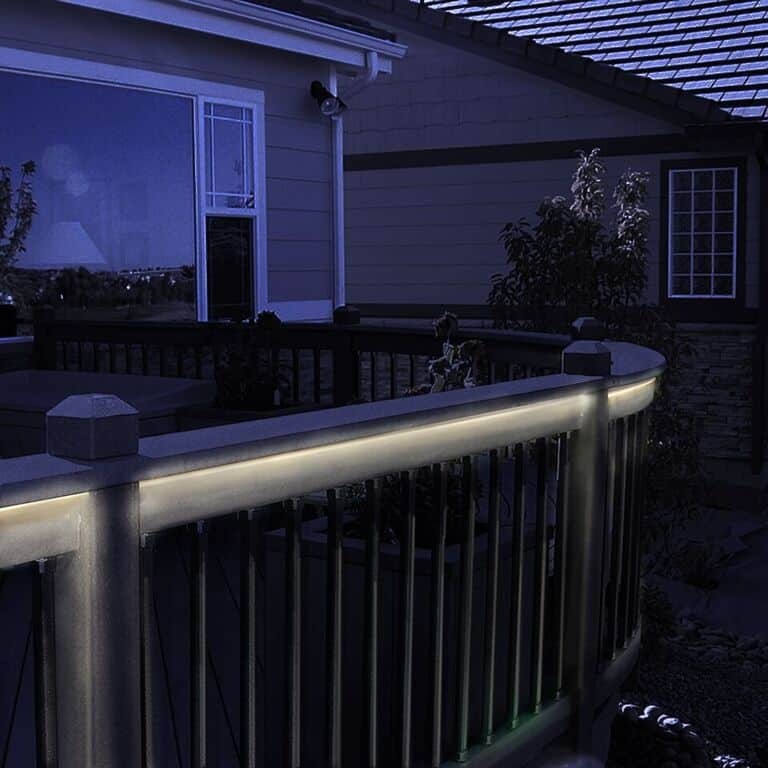 Download our Flex Deck LED Rope Light installation guide to bring your lights to life. View our warranty policies page to learn more.